I know I probably sound not so smart, but here it goes. I recently moved into my new apartment and I found this thing used for I'm guessing a pet right because I certainly wouldn't put my children in this thing. Hahaha. But seriously what exactly is this called and what type of pet is it used for? My guess is gerbils or guinea pigs or something, but I am not sure. Lol. So any opinion would be greatly appreciated. No mean comments, obviously. Thanks. 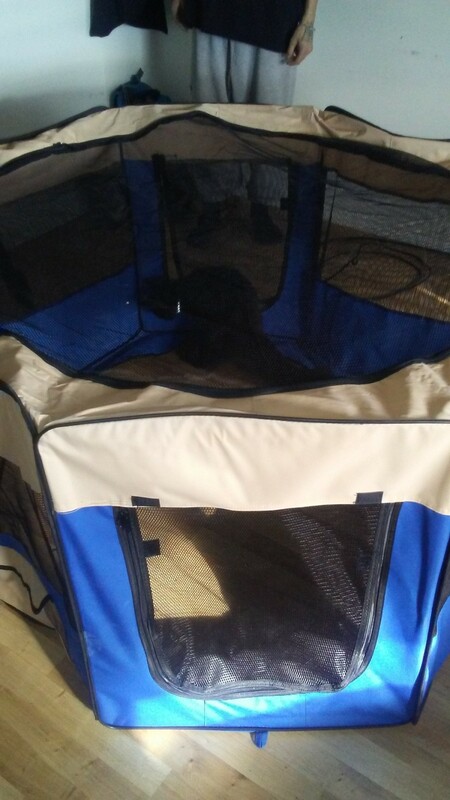 :-) p.s my cats loved going in there even though that's not what it's meant for. Lol. Still cute. I think some of the netting ripped and was taken off. I think this was originally a playpen. It's not ripped, the only thing it seems to be missing from it is the bottom. By the looks of it it's just a circle piece that has velcro around it. Thanks for your input though. 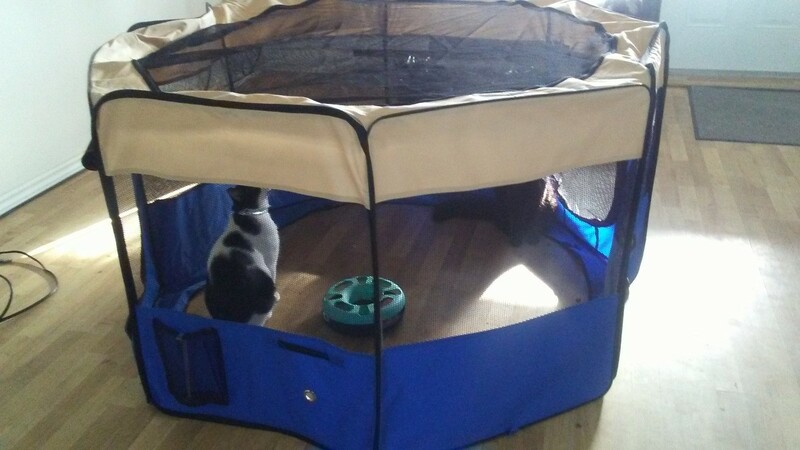 Glad your cats will be enjoying it! Nice find!! I had never heard of this but I think it would be great for my daughter to use to put her cat in on the deck.